A brand new website by award winning professional car photographer James Mann for all photographers who want to improve their car photography for fun or business be it action, event, motorsport, restoration, museum, show or studio. 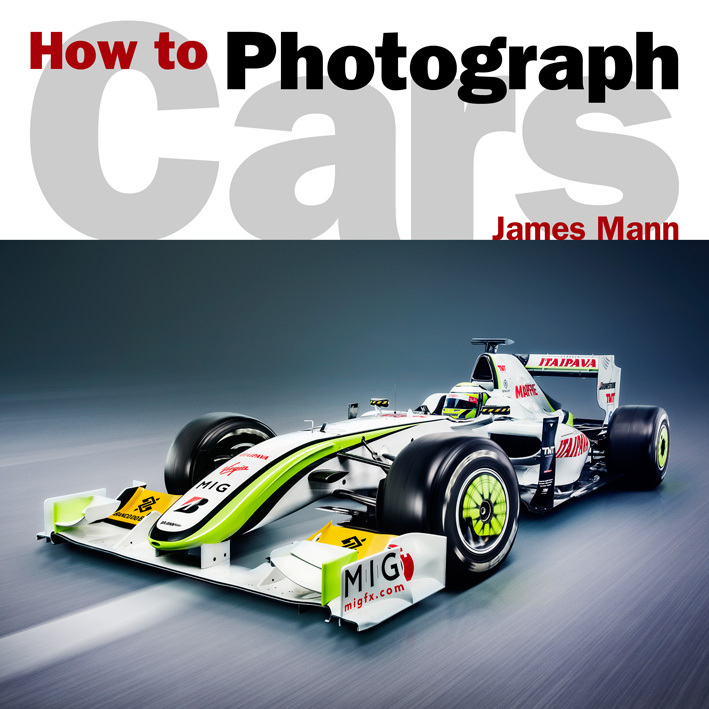 The original edition of How to Photograph Cars first appeared in 2002 and introduced professional car photographer James Mann to a generation of students, race goers, car guys and gals as well as pro’ hopefuls. Through his informative and practical guidance many photographers have learned the tricks of the trade to help with their car photography whether they do it for fun or as a business through James’s straightforward advice. The new edition brings technology right up to date with digital tips and chapters about retouching as well as the all the basic camera techniques that made the original edition a best seller .With easy to follow sections about how to shoot cars using all types of equipment from camera phone to DLSR, James discusses the options for how to choose the best composition in the viewfinder, describes how to take pictures at indoor shows or museums as well as how to prepare your car for a shoot. For a fuller list of contents and excerpts from the book check out the chapter page of this website here or go to James’s YouTube channel here to view the online tutorials.